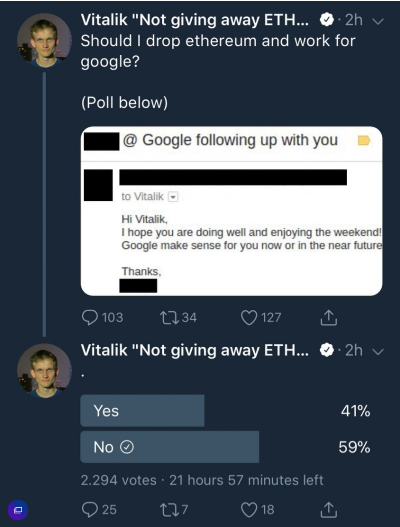 Google has apparently reached out to Ethereum founder Vitalik Buterin to try and recruit him to help with an unknown cryptocurrency project. In a now-deleted tweet, Buterin posted a screenshot of an email from Elizabeth Garcia, a Google recruiter. Revolut just added support for BCH, and luxury goods outlet Elizabeth White just added Bitcoin Cash as a payment option. The company sells everything from fine watches to cars, and also accepts Bitcoin and Ethereum. Verge hodlers are looking toward the future after the cryptocurrency was hacked for a second time, with a total of 35 million XVG stolen. 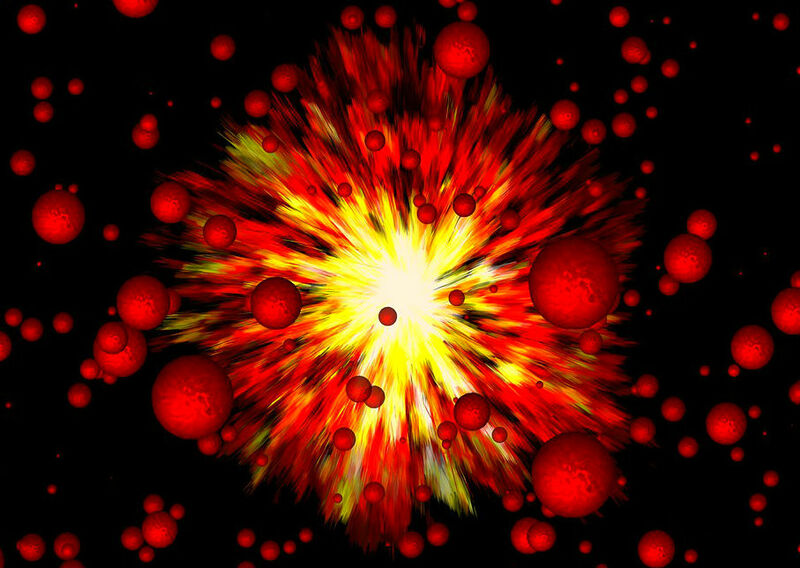 The new hack sparked a lively debate on Reddit and has led one small cryptocurrency exchange to delist the coin. XRP displayed its fast transaction speed to the world, when Ashton Kutcher gave Ellen DeGeneres a $4 million donation in XRP to her wildlife fund in front of an audience of millions. In addition, Revolut has come through as promised and added XRP to its cryptocurrency platform. Tron and EOS are just days away from launching their mainnets. The easiest way to make sure your TRX and EOS is carried over to the new blockchains is to move your coins onto supporting exchanges, such as Binance.